Liz's Cable Girl needed to start in the Roamin Rachel Stakes at Parx Racing in Pennsylvania on Saturday to qualify for MATCH Series bonus money, but she did one better by winning the $100,000 event for owner Lizbeth Dodd and trainer Pat McBurney. Meanwhile, Sycamore Racing's Jessica Krupnick, leader of the Filly and Mare Sprint—Dirt Division, finished second in the Roamin Rachel to take the overall MATCH Series lead. Jessica Krupnick earned 7 points for finishing second and 5 bonus points for her fourth division start for a total of 34. That keeps her in the mix for the overall championship, which will be decided Sept. 22 at Laurel Park. Liz's Cable Girl, a 4-Year-old New Jersey-bred filly by Cable Boy, was widest in a four-horse scramble for the lead in the six-furlong Roamin Rachel but cleared after the first quarter-mile and increased her advantage on the far turn. That gave Jessica Krupnick, who didn't have the best of starts and early in the race was sixth and last, a bit too much to do in the stretch. Ridden by Jose Ferrer, Liz's Cable Girl won by four lengths over Jessica Krupnick and paid $3.20 to win as the heavy favorite. Yorkiepoo Princess finished third. The time on a track rated fast was 1:11.73. Liz's Cable Girl competed in three MATCH division races and finished up with 18 points. 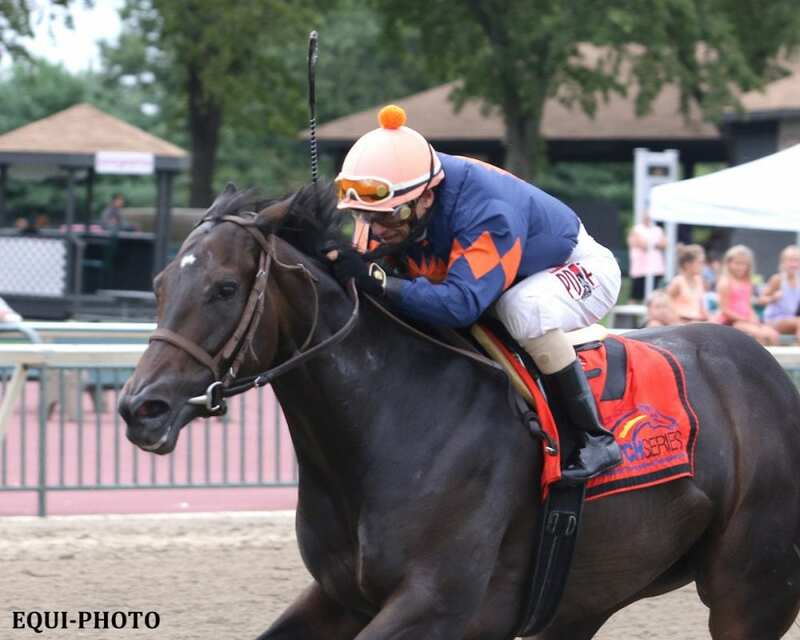 She is the leading New Jersey-bred filly or mare in the series, and thus earned her breeder, Colonial Farms, a $5,000 bonus from the Thoroughbred Breeders Association of New Jersey. The filly's owner and trainer will receive $15,000 and $10,000, respectively, for her second-place finish in the Filly and Mare Sprint—Dirt Division. Jessica Krupnick, who sealed the division in the Satin and Lace Stakes at Presque Isle Downs & Casino in August, earned $25,000 for her owner and $15,000 for her trainer. This entry was posted in Racing and tagged jessica krupnick, Jose Ferrer, liz's cable girl, match series, Pat McBurney, roamin rachel stakes by MATCH Series Release. Bookmark the permalink.